Singapore, with her plethora of delicious local hawker delicacies, is a foodie’s heaven. 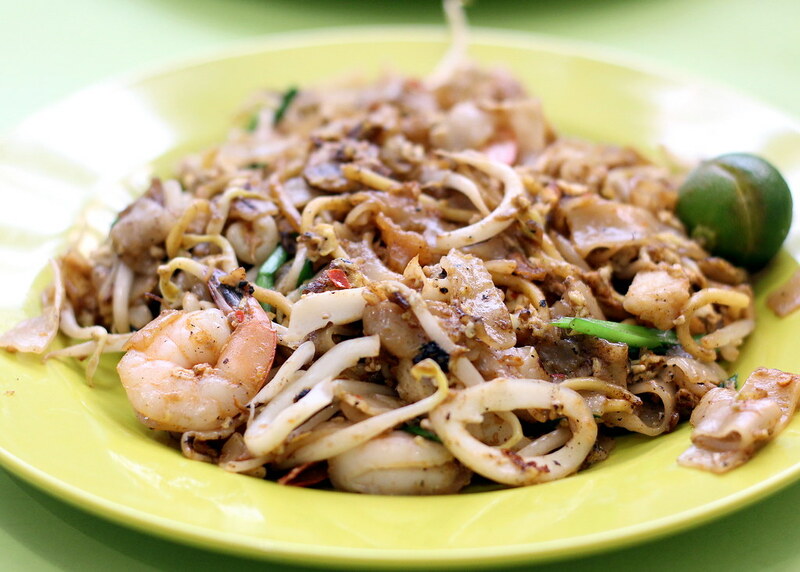 We’re pretty sure no one can resist the scrumptious yet artery-clogging char kway teow. Flat rice noodles and egg noodles are often stir-fried over very high heat with eggs, cockles, Chinese sausages (lap cheong), fish cakes, bean sprouts and Chinese chives. 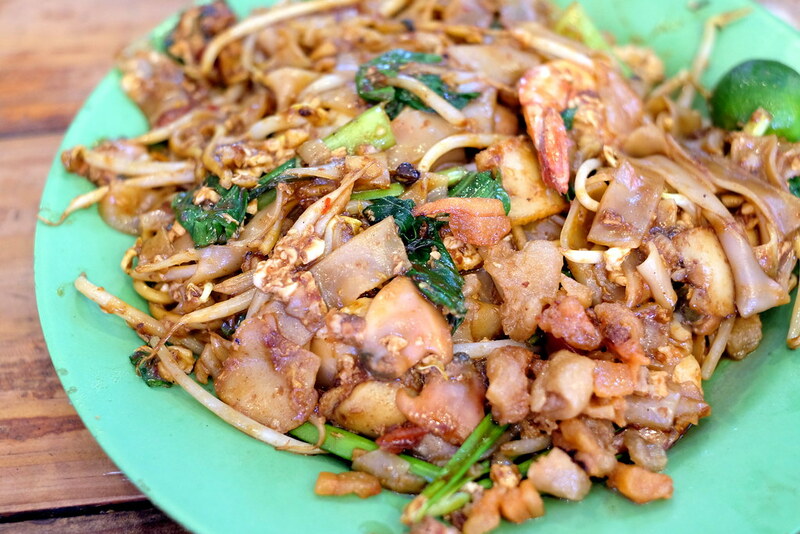 Traditionally, hawkers fried the kway teow with generous amounts of delightful lard but in the 21st century where more people are becoming health-conscious, the healthier version of char kway teow is executed with oil and vegetables. 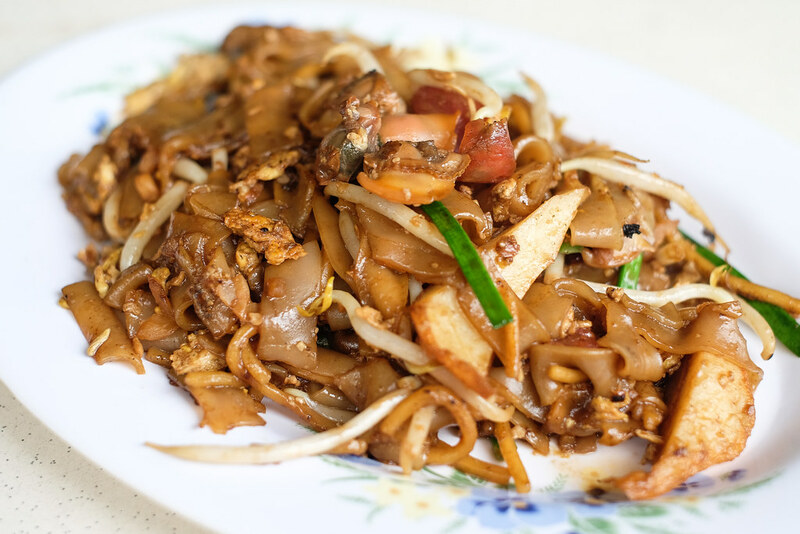 Char Kway Teow is an old school common dish at hawker centres across Singapore but it’s tough to find one that really suits your personal preference. 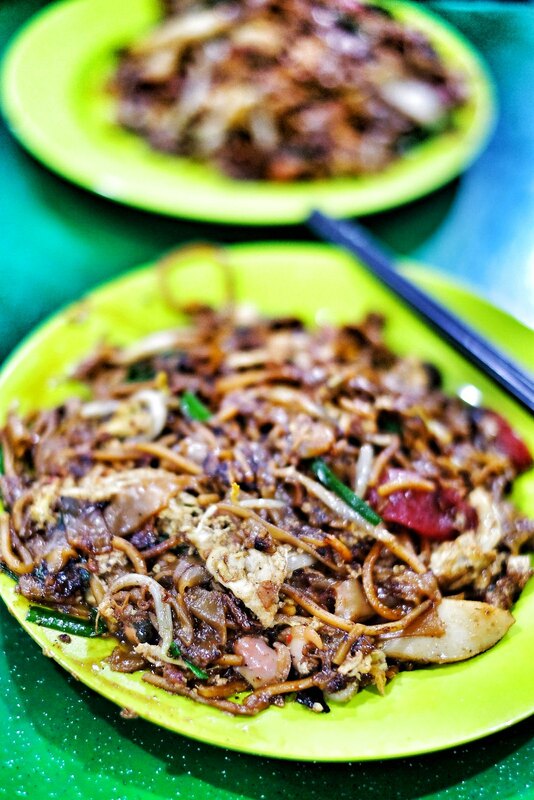 So, here’s a list of 17 Char Kway Teow hawkers for your enjoyment. Touted by many as one of the best char kway teow in Singapore, this stall is often swamped by crowds during lunch hours. It was first started by Mr. Ng’s father at Metropole Cinema in Tanjong Pagar in the 1950s but is named after their tenure at the second outlet in Outram Park. Mr. Ng helped since the beginning and officially took over about 10 years ago. Each $3 portion comes with cockles, bean sprouts and fried pork lard to complement the tasty egg. The noodles are smooth and thoroughly coated with special black sauce, packed with a wallop of wok hei. Each bite gives a textural crunch from the deep-fried lard. So shiok! Opening Hours: Mon-Sat 6am to 4.30pm. Closed on Sundays and PHs. Wok hei is very well-done at Hill Street Fried Kway Teow as you can distinctly taste the smokey flavour of the noodles. Go closer and you’ll notice that the owner uses a very shallow wok which is probably only 5 inches deep to ensure that the kway teow is fried uniformly. 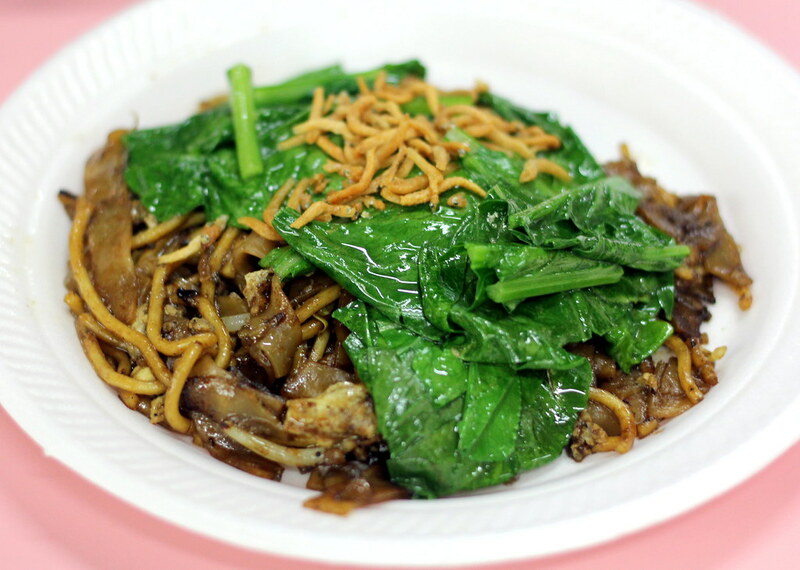 A plate of $3 fried kway teow comes generously packed with ingredients. We enjoyed the crunchy bean sprouts and bits of crunchy pork lard, with lots of eggs and sweet dark sauce. Chives are also added to enhance the flavours of the noodles. Opening Hours: Tue-Sun 10.30am to 7.30pm. Closed on Mondays. 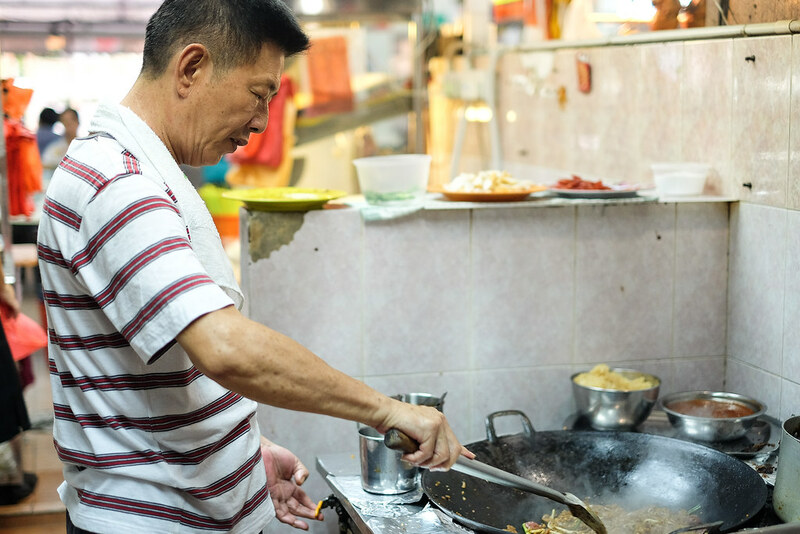 Uncle Teng, the man behind numerous plates of delectable char kway teow, fries each plate individually to ensure the flavours are concentrated and the dish is served piping hot. 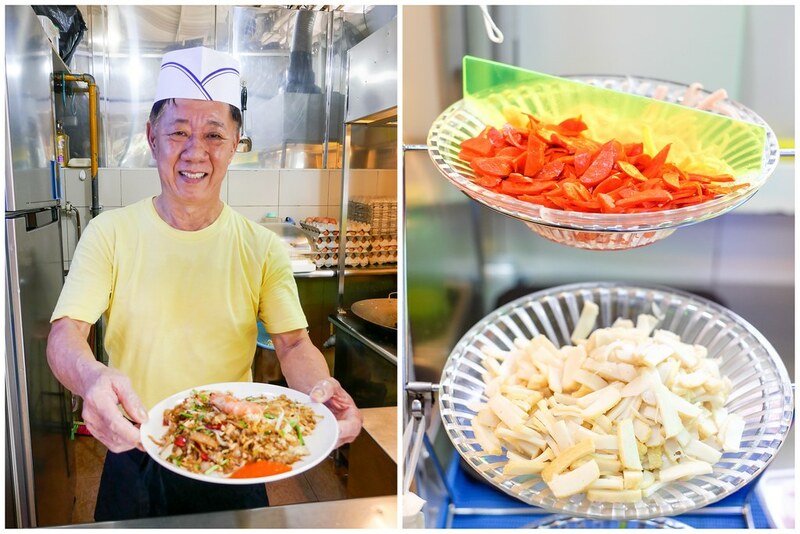 With more than 40 years of experience in frying char kway teow, his movements are swift and rhythmic. He single-handedly takes orders and fries the kway teow. Fresh prawns and squid are added into the oil before the noodles. Each mouthful of fluffy noodles were well-coated with spicy, eggy goodness, giving it a lovely taste and texture. The dish also had enough wok hei and plump cockles, completed by strips of chives. Instead of the usual sweet finish, Uncle Teng’s char kway teow is more savoury, with a good amount of smokiness. Opening Hours: 8am to 1pm daily. Judging by the framed newspaper article of Singapore’s Prime Minister Lee Hsien Loong hanging proudly at the stall, it says a lot about the reputation of No. 18 Zion Road Fried Kway Teow. Despite his fame, owner Mr. Ho is friendly and approachable. He cooks each batch upon order and the portion is one of the most generous in Singapore. The basic $3 plate has everything from Chinese sausages, fish cakes, cockles, eggs to bean sprouts and chives. The noodles were soft and moist and perfectly enveloped in the greasy sauce that was savoury with a hint of sweetness. To be honest, it is still our favourite thus far. Opening Hours: Tue-Sun 12pm to 2.30pm and 6.30pm to 11pm. Closed on alternate Mondays. Since the age of 12, Ms. Mui Mui has been accompanying her mother and helping out at their stall at MacPherson every day after school. She only took over after their relocation to East Coast Lagoon Food Village and her char kway teow was selected as the Top 10 Char Kway Teow in City Hawker Food Hunt in 2008. Her cooking style differs from other char kway teow hawkers as she started off by cooking the eggs till a little dry before adding the rest of the ingredients for her char kway teow. It was flavourful and contains a strong taste of wok hei, just the way we like it. Opening Hours: 12pm to 10.30pm daily. When a few readers introduced me to the same CKT stall, it made me very curious (especially when it is located in Ang Mo Kio)! I dropped by for lunch at 食得福 CKT opposite AMK Hub and was pleasantly surprised how simple but tasty their noodles were. 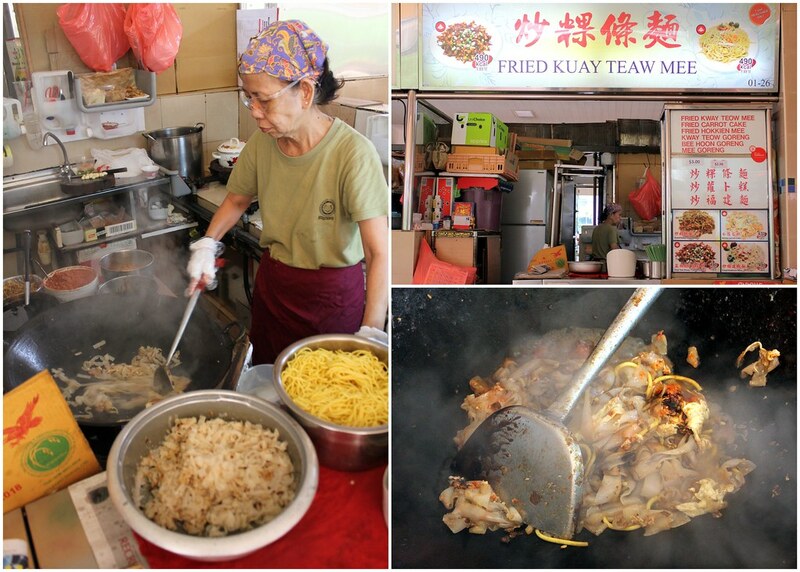 The aunty has been frying CKT for more than 20 years and even though her ingredients and sauces are nothing special, it all depends on how the hawker controls the fire and makes the noodles come alive. This is a very good plate of char kway teow which is wet enough and smoky enough. 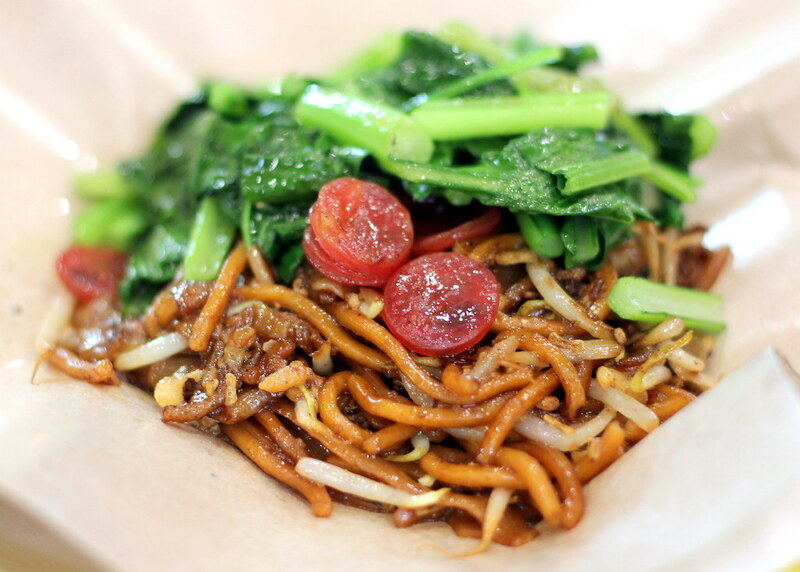 Plus, they even have stir fried mee tai mak which has become my new favourite. Opening Hours: Fri-Wed 11.30am to 8pm. Closed on Thursdays. 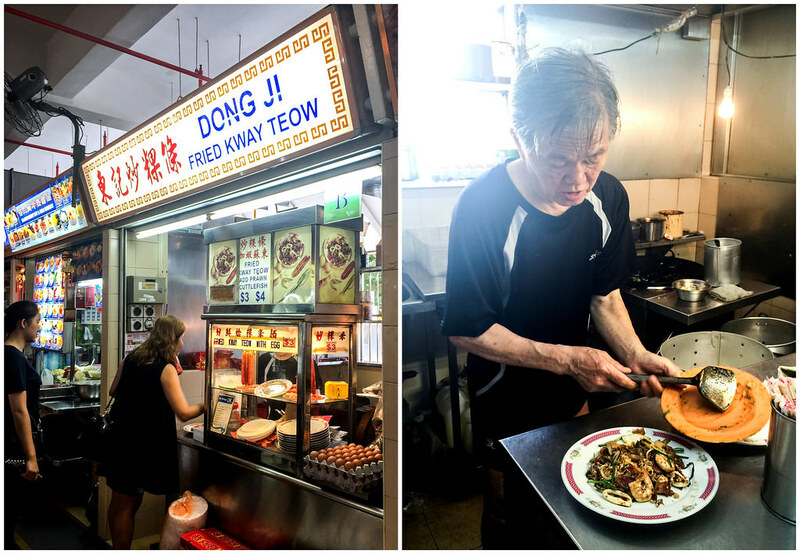 The elderly couple works in harmony at this hawker stall – while the wife takes order, the husband whips up a superb plate of char kway teow, with its fragrance and smokiness lingering in the air. 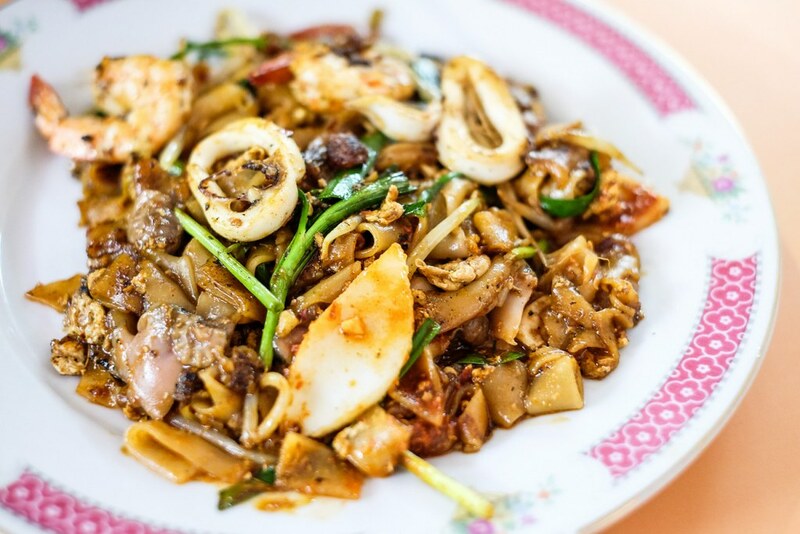 He makes it a point to fry only one plate at a time so be prepared to wait for his wonderfully charred kway teow that’s out to tantalize our tastebuds. A plate consists of your usual eggs, cockles, Chinese sausages, bean sprouts and chives. 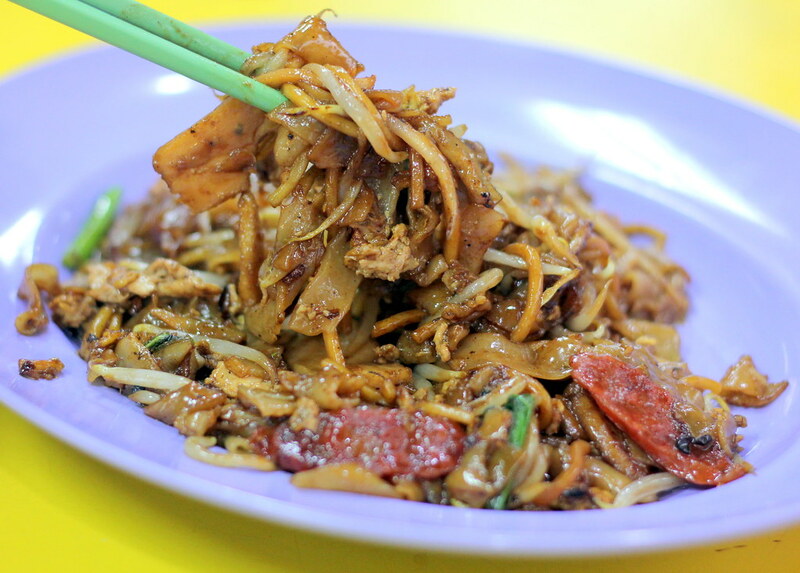 Somehow, this elderly uncle’s char kway teow gave us a tad of homely feel. 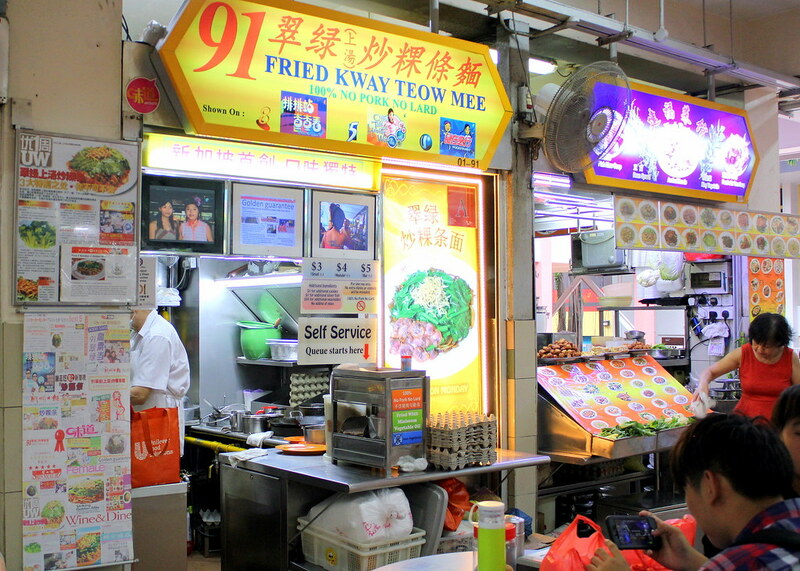 This stall originated from a push cart along Boon Tat Street in the 1960s. Having been in business for over 5 decades, it’s not surprising to see huge office crowds queuing for a plate of this goodness, especially during lunch time. Boasting a nice texture and good consistency, this char kway teow leans towards the more savoury side. The kway teow was moist but not overly wet and the cockles were fresh and plentiful. The standard is not consistent because some days, the char kway teow appeared a little too dry for our liking. But we like that it had a lime to give a tangy dimension to the sweet and smoky dish. Opening Hours: Mon-Sat 9.30am to 2.30pm. Closed on Sundays. Opening Hours: Mon-Fri 12.30pm to 9pm. Closed on weekends. What makes this stall stands out from the rest is its uniqueness in offering otah that surprisingly complements a plate of char kway teow. 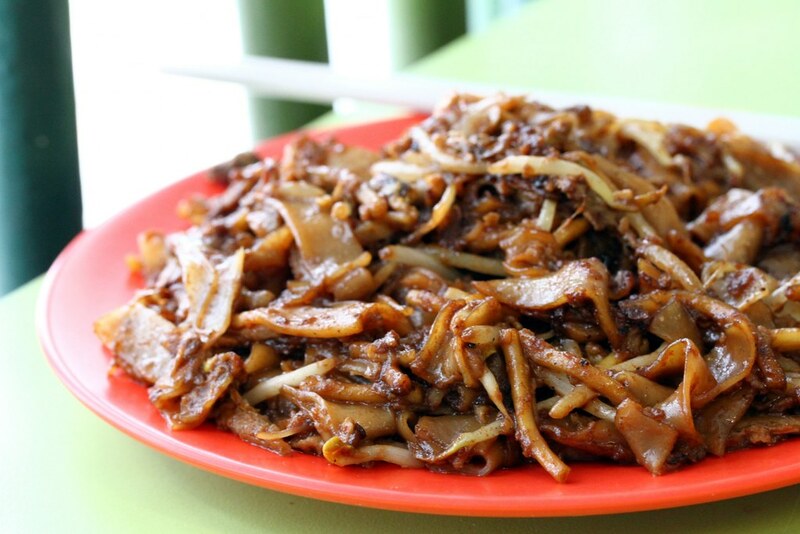 Instead of tasting the usual charred and smokiness flavours, you get a super moist and slippery plate of kway teow here. Don’t be mistaken – there’s still a hint of wok hei and the aroma is fantastic! You’ll notice a lady helming the wok and she’s the daughter of Mr. Saw, the original owner and hawker. 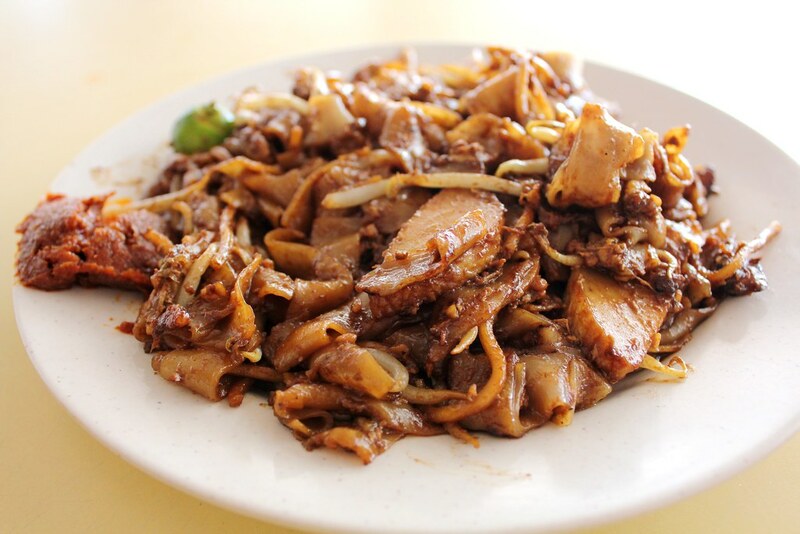 Sorry, but Mr. Saw’s char kway teow still fares better so when you’re ordering, remember to request for Mr. Saw to prepare it for you. Opening Hours: Tue-Sun 11am to 7.30pm. Closed on Mondays. 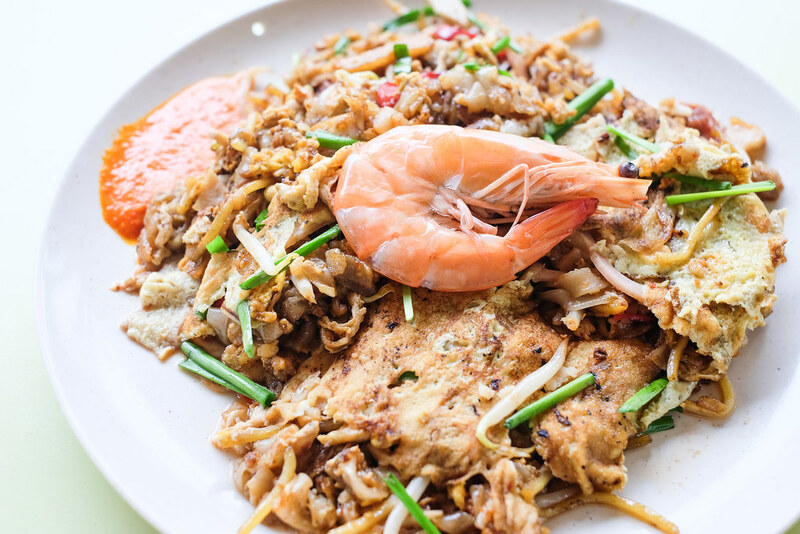 Owner Peter Lim learned how to make his char kway teow from one of the best char kway teow “masters” in the late 1960s when he was offered a chance to help out at the coffee shop beside Odeon cinema in Bras Basah. Later on, Peter set up his own hawker stall at Jago Close along East Coast Road before moving to Tanjong Pagar Food Centre and roped in his son, Benny, to help whip up tasty plates of local and Penang char kway teow. 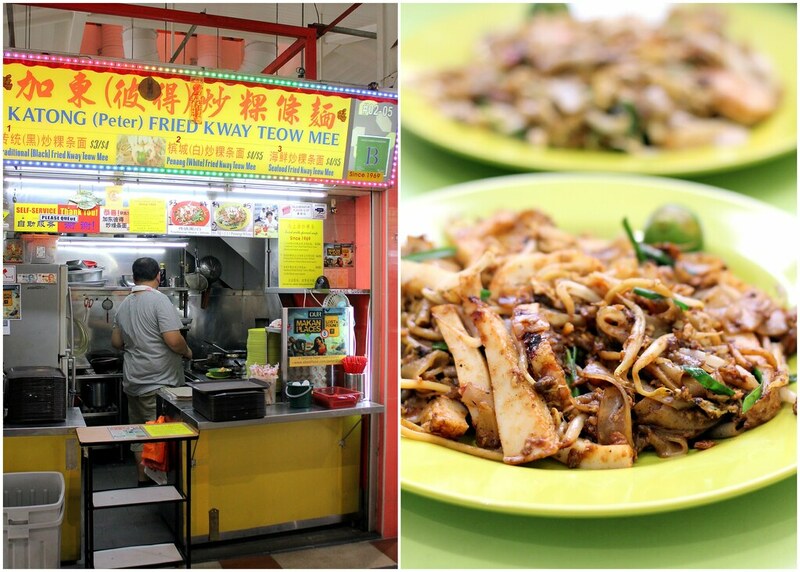 We tried the traditional black fried kway teow and Penang white fried kway teow. The former consisted of a strong wok hei taste and came with abundant pork fats, yet it’s not very oily. The latter fared really well too. White kway teow is used and it’s more savoury than sweet but we enjoyed the spicy-tangy twist the most. What amazed us was that Peter and Benny use a prawn and chicken stock instead of water during their cooking. Opening Hours: Mon-Fri 10.30am to 7.30pm. Sat 10.30am to 4pm. Closed on Sundays. 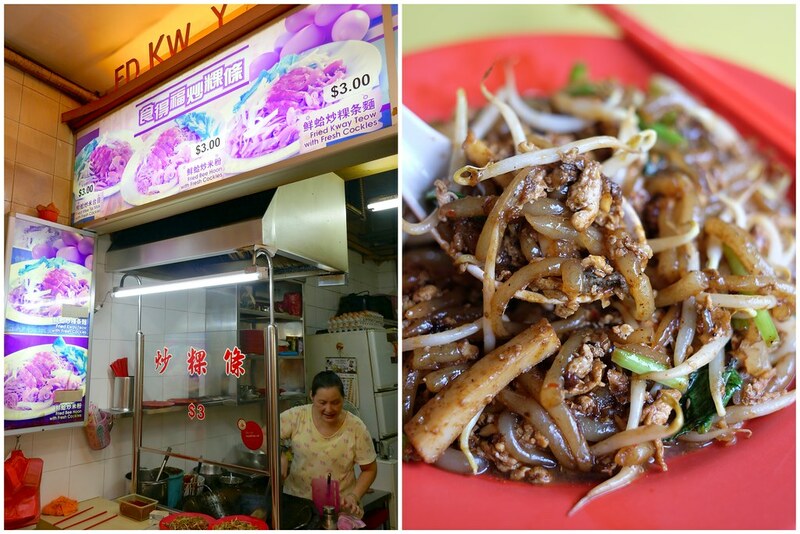 This is perhaps, one of the rarest char kway teow stall in Singapore that has chye sim and ikan billis as toppings. We found the wok hei really gratifying and enjoyed the crunchy texture and savoury-ness coming from the ikan billis. 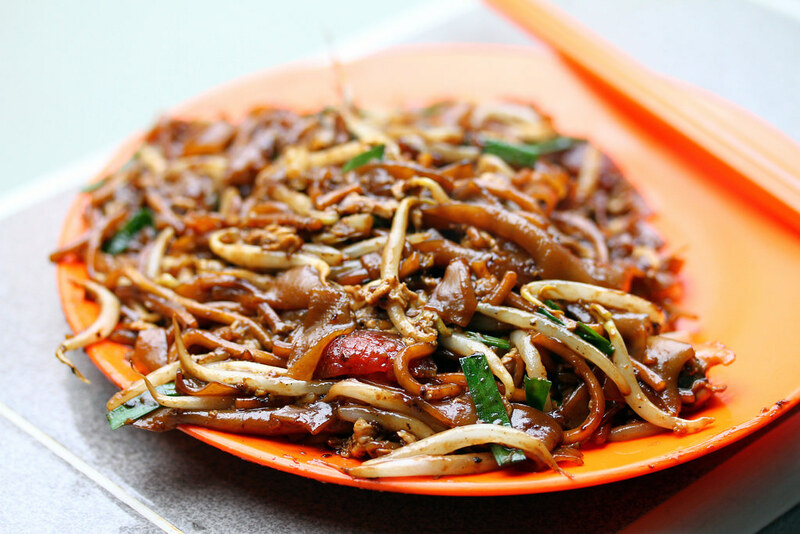 It changed the overall taste of traditional char kway teow. 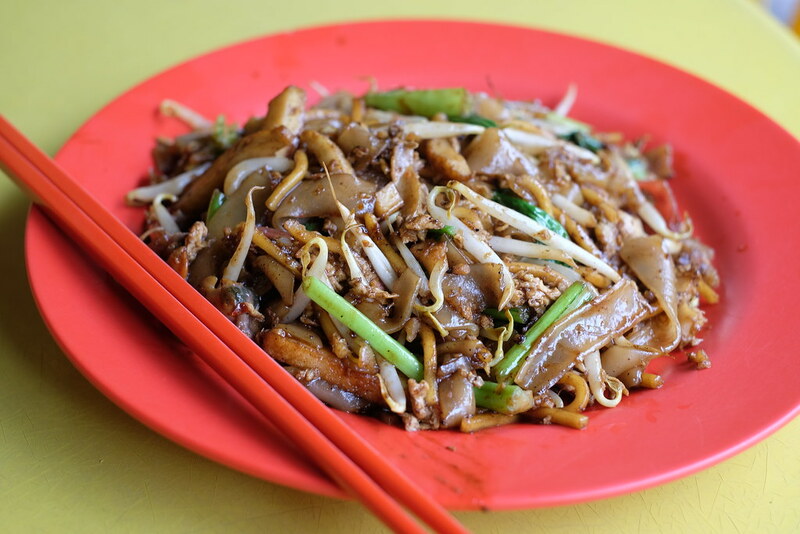 Owner Mr. Tan explained that his char kway teow is stir-fried with a special broth that takes about 10 hours to prepare. He replaces the sinful pork lard with vegetable oil for a healthier choice. 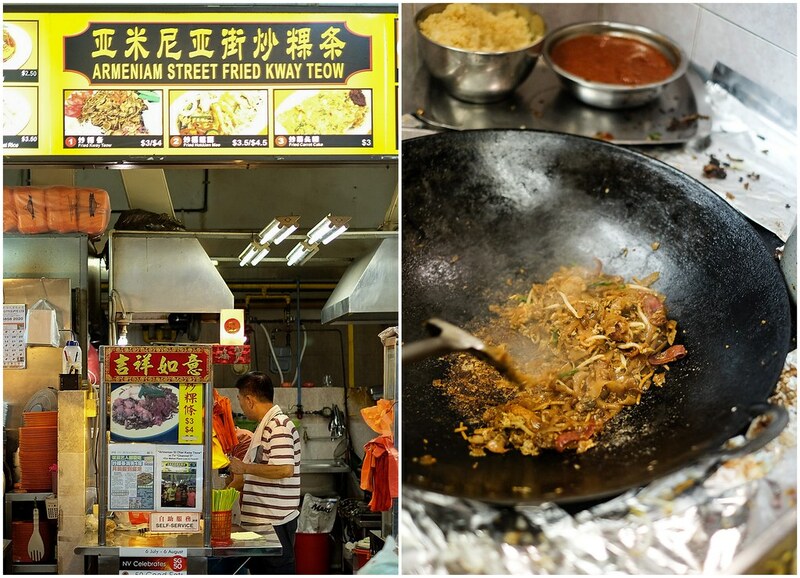 It’s quite amazing that we could smell the aroma a few stalls away, while Mr. Tan is frying char kway teow. However, the only downside is that we found his portion too small and ingredients too little. Opening Hours: Tue-Fri & Sun 10am to 7pm. Sat 10am to 8pm. Closed on Mondays. Run by a father-daughter team, this char kway teow tilts towards the sweeter version. We haven’t tried the father’s version but the daughter is the one who is frequently manning the stall nowadays. Char Kway Teow here is moist and smooth. More sweet sauce is added to enhance the sweetness, as compared to the savoury ones we commonly find in Singapore. We enjoyed the strong wok hei and pork lard flavours and found the noodles to be well-coated with eggs and the highlight was their chilli which gives a good kick. Their cockles are served a little raw and much juicier and larger than usual but we would’ve liked it better if these were cooked longer. Opening Hours: Mon-Sat 10.30am to 7pm. Closed on Sundays. 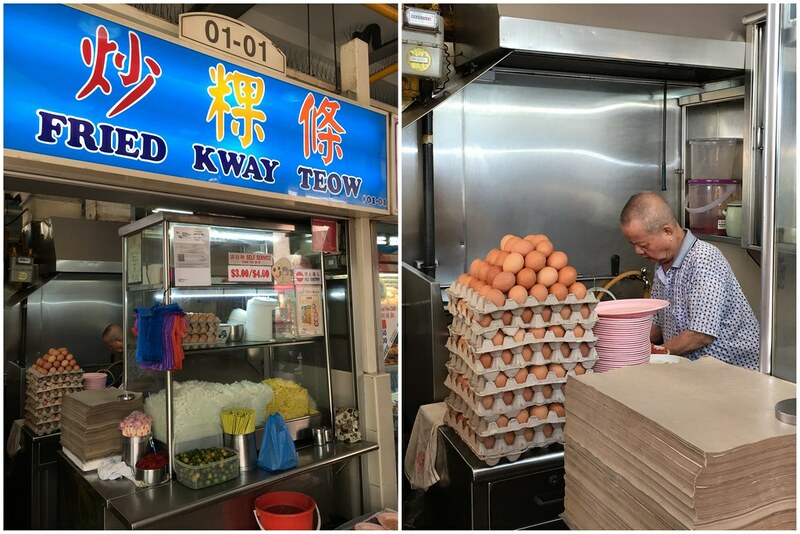 Run by a very friendly aunty since 1985, Seah Im’s char kway teow serves customers perhaps the most generous portion of noodles priced as low as $2.50. This stall is designed especially for those super health-conscious as she doesn’t use pork lard, yet lesser oil. Ingredients used are the standard Chinese sausages, cockles and eggs. We’re quite contented that she still manages to bring out the wok hei flavour and serve up a decent and delicious plate of char kway teow. Besides, it’s only $2.50 so what have you got to complain about? Opening Hours: 7am to 8pm daily. 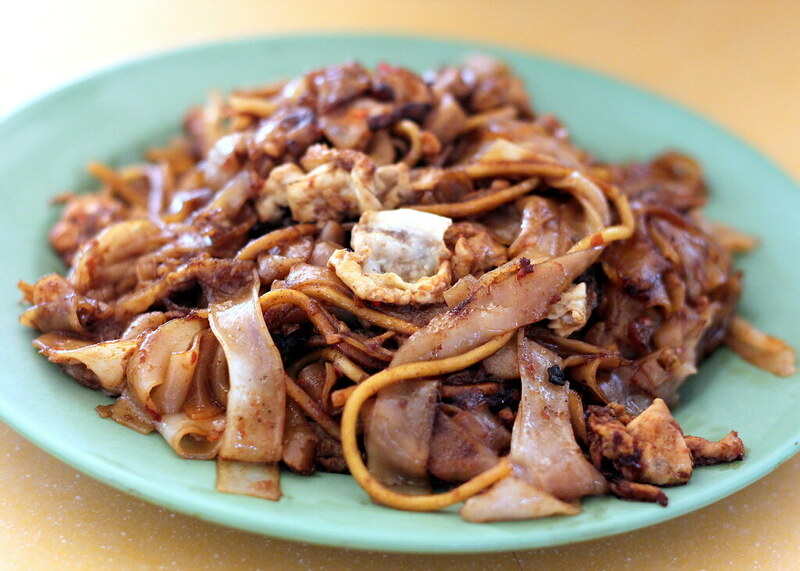 For years, there have been mixed reviews about Mr. Tan’s char kway teow. He has tweaked his recipe many times just to satisfy that tastebuds of those who prefer a guilt-free indulgence. We went on a Saturday evening for dinner and his stall is already lined up with customers. Char kway teow here is stir-fried with bean sprouts, cockles, eggs, chye poh and topped with a mountain of chye sim. It’s so abundant that we had to re-position the chye sim so as to capture the noodles in our photos as well. 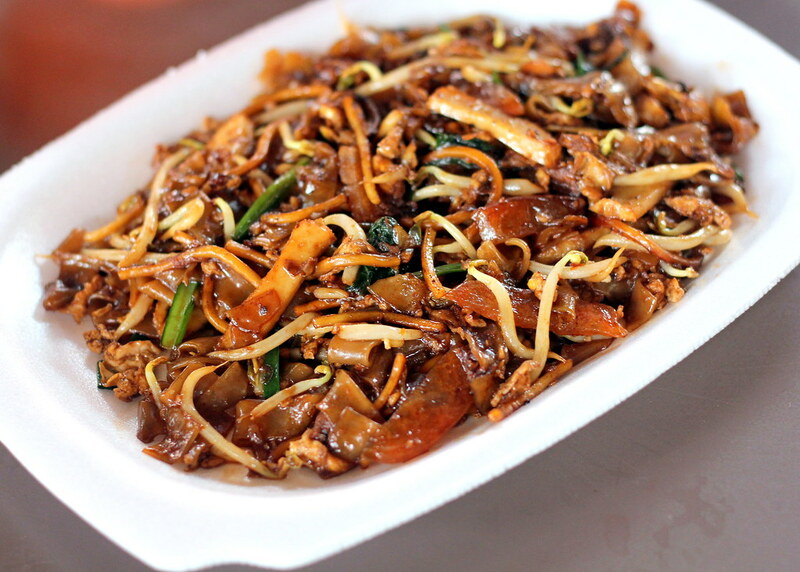 This is a decent plate of char kway teow but we cannot comprehend why people will queue for it. Opening Hours: Mon-Sat 12pm to 10pm. Closed on Sundays and PHs. At the modern coffee shop AlibabaR, there is a old school stall Yong Huat that was started since 1949. You can either have the black style or white style (with the sweetened black sauce) which my grandpa usually prefers. But hey, char kway teow is all about the black sauce right? So go for it if you want a plate of CKT. What’s the draw here? That countless amount of pork lard that is added to every plate. OH MAN. So sinful but yet we can’t resist! 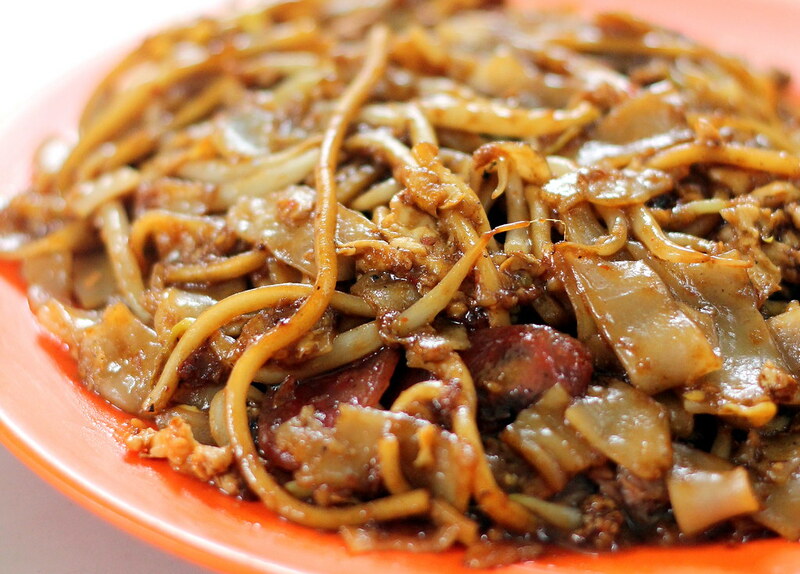 Besides Fried Kway Teow, they also do Fried Mee Suah, Fried Tong Fen and Fried Mee Tai Mak. After two weeks of tucking into char kway teow, we concluded that our personal favourites were No. 18 Zion Road Fried Kway Teow and the Penang version from Katong (Peter) Fried Kway Teow Mee. Guess it’s time for us to hit the gym! 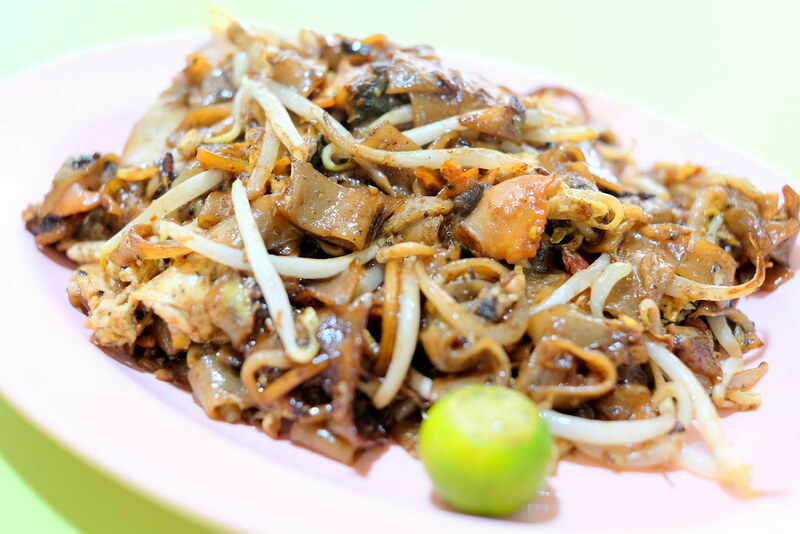 you did not feature the char keow teow at Bukit Merah Food Centre Day Night fried kway teow. This stall is also quite good.